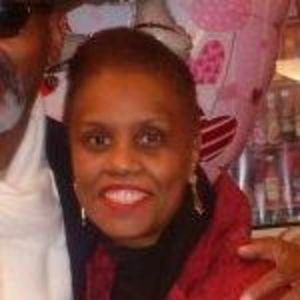 Gilda Hall Lee passed away on Sunday, April 29, 2012, age 61. Preceded in death by her parents, Ellis Hall and Cervelma Wright. She is survived by her husband, Aubrey Lee of 30 years, her children, Eric, Derrick, and Aubrey Lee, 5 grandchildren, 1 great grandchild, and a host of nieces, nephews, and cousins. She was owner of Lord and Lee's Hair Salon and employed at JC Penny in the hair salon. She was a member of Spirit and Truth Family Worship Center. Relatives and friends of the family are invited to attend the Funeral Service at Lake Lawn Metairie Funeral Home (5100 Pontchartrain Blvd., New Orleans, LA 70124), on Saturday, May 5, 2012 at 10:00 a.m. A visitation will be held from 8:00 a.m. until service time. To view and sign the guest book, visit www.lakelawnmetairie.com. The beautiful and interactive Eternal Tribute tells Gilda's life story the way it deserves to be told in words, pictures and video. May God bless your family during this time of sorrow, "Peace be Still" and God be with you. I haven't seen Guilda since we graduated from 33rd Avenue High School. I remembered her as being a very warm and kind person. She aways represented the best of what mankind had to offer. My condolences to her family. My God be with the family during this time of berevement. We will miss you Gilda! Another precious leaf has fallen from our tree. Rest in Peace Gilda. Our deepest sympathy to the family on their loss and know that we are forever thinking of you, even when the calls and visitors stop coming. Life is really short and precious but be thankful that the two of you shared such a long and loving life together. You are always in our hearts even though we are miles apart. Love and peace during your journey of healing. Gilda was kind, caring, and loyal to her customers. I could see how everyone felt special when going to Gilda. She was a gifted professional and a precious gift to many as she touched our hair and our lives. I will miss her and I will cherish the memory of her warm smile and laughter. Gilda was a dear, sweet and just a kind person. I have fun memories of our days in high school. May God bless and comfort your family doing this time of grief. Words can not express my grief and loss of my very best friend....Aubrey, we love you and hope to see you soon!